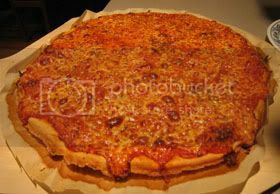 Here's a pizza with a really, really thin and crispy crust. 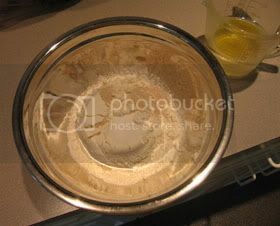 1 Stir flour, yeast, and salt together in a large bowl. Add oil to water. Create a well in the flour mixture. Stir the oil and water together and continue stirring as you pour it into the well in the flour. 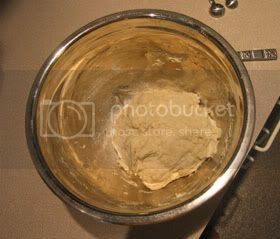 Mix briefly to make a wet dough. Note: High-protein or bread flours will produce a stronger gluten structure that makes the dough difficult to roll into a thin layer and results in a tougher, overly chewy crust. Regular all-purpose flour works best for me in this recipe. Either instant or active dry yeast can be used. Instant yeast does not need to be proofed (dissolved in warm water until it foams) before use. 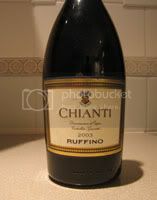 Since it is more potent than active dry, less is usually needed. If you do not continue to stir the liquid ingredients as you pour, the oil will coalesce at the top of the water and will be difficult to distribute evenly as you mix the dough. 2 Cover the bowl with plastic wrap and a kitchen towel and let sit for 20 minutes. Note: This rest period is known as an autolyse. During autolyse the flour absorbs moisture and begins the gluten-forming process, both of which will make the dough less sticky during kneading. Since this recipe results in a wet dough, the autolyse period is essential to prevent the addition of too much flour. 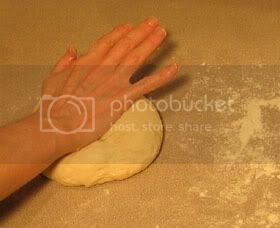 Note: The dough will be very wet and difficult to handle. Don't be tempted to add too much flour to improve handleability. The wetter the dough, the lighter and crispier the crust. 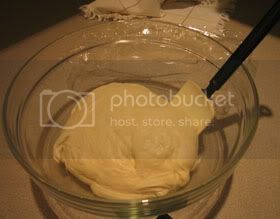 To deflate, slide a spatula or spoon around the edges of the dough. Avoid poking or cutting. 5 Gently deflate dough and scoop out onto the center of a piece of parchment paper at least 15 inches wide. The dough should feel wet and tacky. 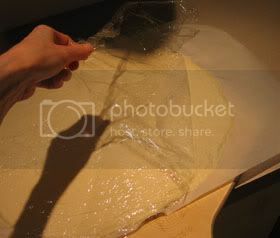 Lay two sheets of plastic wrap over the dough, enough to cover the entire 15-inch area. Note: Use a piece of parchment 15 inches wide by about 30 inches long. The extra room will give you more leeway when rolling. Since plastic wrap usually comes in 12 inch rolls, you will need two 30 inch sheets. 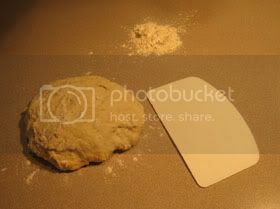 Lay one sheet over half the dough, cover the remaining half with the other sheet. See below. 6 Roll dough through plastic wrap into a 15-inch circle, 1/8 inch thick. 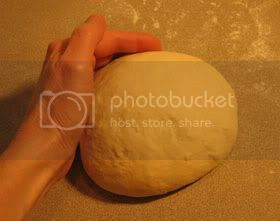 (Alter the size of your rolled dough if your baking stone cannot accomodate a 15 inch round.) 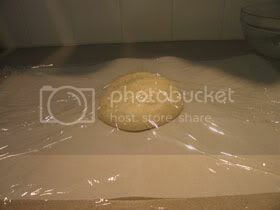 Allow the dough to rest under the plastic undisturbed for 30-60 minutes. While the dough is resting, assemble topping ingredients. 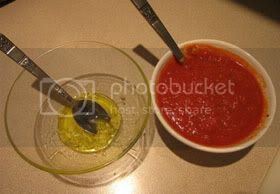 Note: If your tomato sauce has chunks of tomato or other vegetable, I recommend blending or pureeing the sauce. It will be easier to spread. 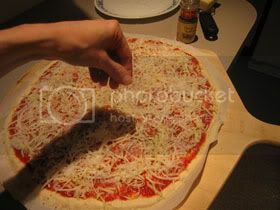 7 Slide a peel or paddle at least the size of your pizza dough under the parchment paper holding the pizza. Gently peel away the plastic wrap. 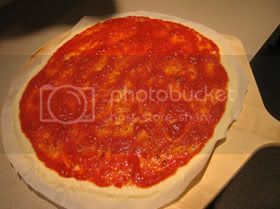 Spoon tomato sauce over dough. 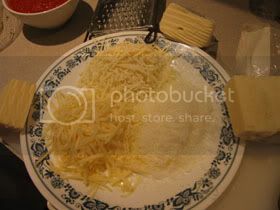 Distribute grated cheeses over tomato sauce. (Here's where I add other toppings: diced onions, chopped (cooked) greens like rapini, kale, or spinach, etc.) Sprinkle oregano, salt, and pepper over cheese. Note: Since you're using parchment paper, the peel does not need to be floured. The pizza cooks directly on the parchment. 8 Slide pizza with parchment paper onto preheated oven stone. Reduce temperature to 480° F about halfway through cooking. 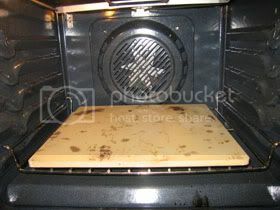 Total cook time is about 12 minutes or until cheese bubbles and begins to brown. 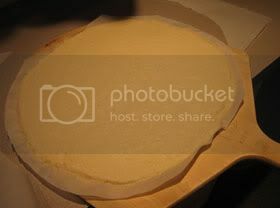 Remove pizza and parchment with peel and place onto an inverted pizza pan or other surface that can withstand cutting. May be sliced using a pizza wheel or knife. The crust on this pizza is crunchy, not soft. Update: Here's a photo with some broccoli rabe (rapini) as a topping. Almost 5 years later, I'm still making it. You'd be indispensible among the shipwrecked; you'd be the meal maker. I'm taking from this that you don't use a red sauce, tomato sauce. I keep wanting to do that but the sauce isn't out of our system here yet. I'd like to try a smear of my pesto (I make it from parsley, basil, olive oil, garlic, roasted nuts, locatelli) with finely chopped sundried tomatoes ... instead of sauce&cheese. Your cilantro chutney sounds like a type of pesto.